This is a book on methods, how scholars embody them and how working within, from or against constructivism has shaped that use and embodiment. A vibrant cross-section of contributors write of interdisciplinary encounters, first interactions with the ‘discipline’ of International Relations, discuss engagements in different techniques and tactics, and of pursuing different methods ranging from ethnographic to computer simulations, from sociology to philosophy and history. 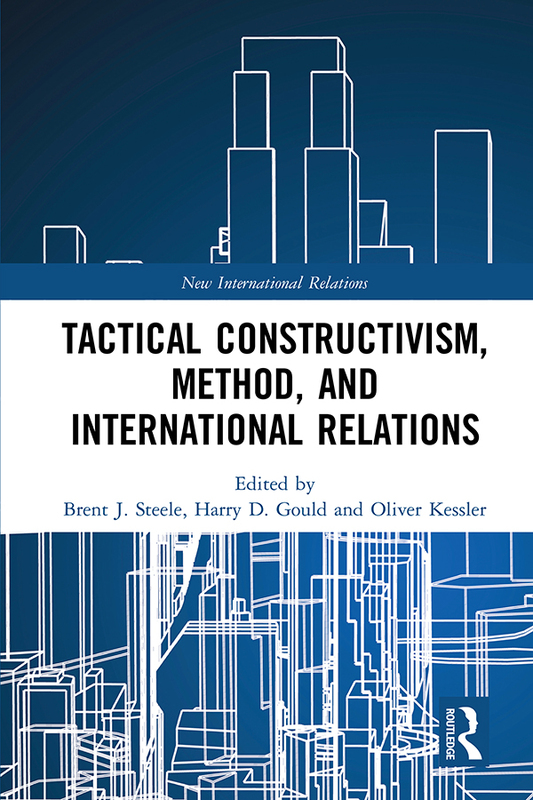 Presenting a range of voices, many constructivist, some outside and even critical of constructivism, the volume shows methods as useful tools for approaching research and political positions in International Relations, while also containing contingent, inexact, unexpected, and even surprising qualities for opening further research. It gives a rich account of how the discipline was transformed in the 1990s and early 2000s, and how this shaped careers, positions and interactions. It will be of interest to both students and scholars of methods and theory in International Relations and global politics. Brent J. Steeleis Francis D. Wormuth Presidential Chair and Professor of Political Science at the University of Utah, USA. Harry Gouldis Associate Professor of International Relations at Florida International University, USA. Oliver Kessler is Associate Professor at the University of Erfurt, Germany.